You are viewing the archived 2018 ratings for Online Flower Delivery services. 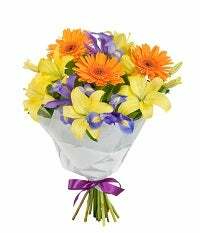 Go to the current Online Florist ratings. 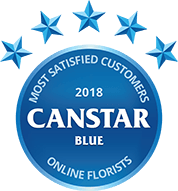 Compare 11 online flower delivery websites based on ease of website navigation, range of flowers, range of other items, delivery reliability and timing, product accuracy, customer service, value for money and overall customer satisfaction with Canstar Blue’s annual review and rating. Canstar Blue research finalised in January 2018, published in February 2018. Not your average online flower delivery service, Edible Blooms has taken a bite out of the competition by topping our customer ratings for the first time. It achieved five stars for website navigation, range of items for sale, product accuracy and overall customer satisfaction. Edible Blooms leads the way from 10 other flower delivery websites. Special occasions come around once in a blue moon and with online florists blooming, finding the right one is no easy task. So which website can you really trust? We’ve surveyed more than 1,200 Aussie consumers to ask about their experience with a wide range of online florists. This year, 11 different online flower delivery services have featured in the results, with Edible Blooms the only to receive the maximum five stars for overall customer satisfaction. It also earned five stars on product accuracy, website navigation and range of other items available. It received four stars on value for money and delivery reliability. The only florists to achieve five stars for delivery reliability were Interflora.com.au and Petals.com.au, while Florist.com.au was the only one to earn five stars on value for money. Flowers.com.au earned five stars for customer service, which is important if something goes wrong. But overall, Edible Blooms was the pick of the bunch! 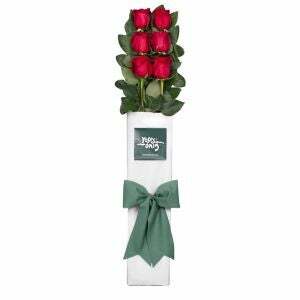 The world of online flower deliveries can get quite complicated. It’s important to understand that the website you order through won’t necessarily be the same company that actually delivers the flowers to your door. This is because online retailers work with local suppliers on the ground to ensure timely and fresh deliveries. While sourcing flowers locally means you can get the freshest bunch within hours, it can also lead to some problems, such as certain flowers not being available in a certain area or region, leading to alternatives that may not be what you wanted. It also means retailers are less accountable for delivery problems. Nevertheless, 89% of respondents to our survey said they would buy flowers online again, so that’s a pretty good sign that things generally go smoothly. Edible Blooms is an Australian-owned business run by two sisters, delivering across Australia and New Zealand. It’s a rather unique floral experience, offering edible flower bouquets that feature a range of chocolates, donuts and fruit, as well as beer and wine gift baskets. However, it also offers traditional flower bouquets. It has an easy to navigate website allowing you to search by price, occasion, fruit and donuts, chocolate bouquets and gift baskets. Edible Blooms delivers Australia-wide Monday to Friday and to limited metro areas on Saturday. Same day delivery is available up to 10-15km from Sydney, Perth, Melbourne, Brisbane and Adelaide CBDs, with a 12pm midday cut-off. You can choose a three-hour red hot delivery that costs $25 if you’d like to guarantee a specific delivery time for particular metro areas. Following day delivery is available for most areas in Australia if you place your order by 4pm. 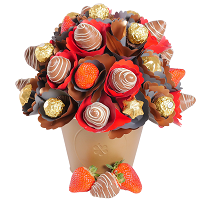 Direct2Florist.com.au has a large range of flower bouquets with a selection of add-on items such as chocolate boxes and teddy’s. With an easy to navigate website, you can select by occasion, by sentiment as well as the Luxury Collection tab. It’s claimed to have 3,500 florists in 14 countries including Australia, New Zealand, Singapore, Hong Kong, the UK, USA and Canada. It also allows you to select a local florist when you order even if you’re delivering to another country and offers same day international delivery. Opening hours are Monday to Friday 9am to 5pm, with Saturday hours being between 9am and 2pm. Most of its local florists aren’t available on public holidays, as well as on Sundays, but it may be possible for a Sunday delivery if you order by Friday afternoon so that Direct2Florist can check with the florist on your behalf. Easyflowers.com.au partners with independent florists across all capital cities as well as major regional centres to guarantee fresh and local bouquets, it claims. 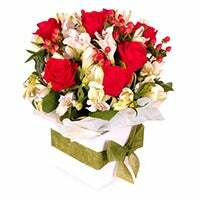 The website provides information to help you choose flowers by colour meaning, birth month and even zodiac sign to enhance your gift. It delivers Australia-wide, with the exception of particularly remote areas. However, plants and hampers are still able to be delivered to those areas. It costs $12.95 for next day delivery (orders placed before 1pm for hampers and 2pm for plants), $18.95 for same day delivery (orders placed before 2pm weekdays and before 9am on Saturdays) and $14.95 for plants and hampers. There may also be surcharges applied in peak periods. It doesn’t deliver during national public holidays and Sundays with the exception of Valentine’s Day and Mother’s Day. Florist.com.au has a range of flower types from natives to roses as well as arrangements in boxes and baskets. It aims to provide affordable prices, receiving five stars for value for money. Deliveries can be made to almost every metropolitan and regional area, as well as to more than 100 other countries worldwide, giving you the ability to share a special occasion with a loved one. 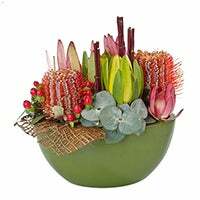 Flowers.com.au is a long-established Australian retailer, partnering with Australian and International florists to deliver worldwide. 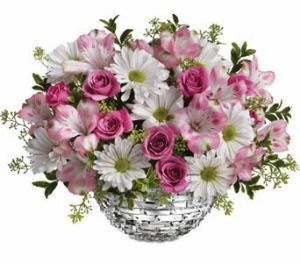 You can choose from either baskets or hampers as well as bouquets and arrangements. It offers flowers for a range of occasions so you can be part of celebrating a special day with family around the world. You can purchase items two ways – online or by calling the customer service line. Same day delivery in Australia is available for orders received by 1pm AEST Monday to Friday and by 10am on Saturdays. As many of its florists are closed Sundays, these deliveries are not guaranteed. For international deliveries, 24 hour notice is required to adjust for time differences. To help reach family around the world, Interflora.com.au delivers to 150 countries including the UK, New Zealand, Canada, US, Germany, Ireland and France. It’s claimed to partner with 70,000 florists worldwide, which includes more than 1,300 florists in Australia. It offers native and wildflowers as well as traditional flower bouquets and a basket range. The Petals Florist Network boasts a net of more than 40,000 florists, delivering to over 100 countries. Wherever you are in the world, it’s quite likely you can send a fresh floral gift to one of your loved ones through Petals.com.au. 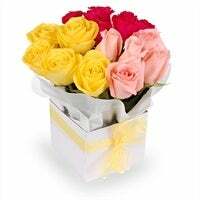 It has an easy to navigate website where you can select by occasion or by flower type. There are also a number of gift baskets and hampers available. In the flower range it offers native flowers as well as potted plants. The standard cut-offs for same-day delivery are before 2pm on weekdays and before 10am Saturdays (in the recipient’s time zone). There are no deliveries available on Sundays or public holidays with the exception for Valentine’s Day, Mother’s Day and Christmas. To provide a ‘boutique’ florist experience, 1300flowers.com.au handpicks its florists for experienced local knowledge. It claims to use Australian flowers grown and cut by Aussie farmers wherever possible. Although it has fewer florists compared with some other online flower retailers, it aims to maintain a close relationship with its partners. 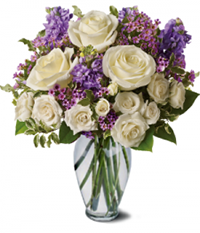 It offers a range of bouquets categorised by occasion or price. It also has a classic fruit box where additional chocolates can be added. Bloomex was originally founded in Canada and has expanded to Australia, delivering to Sydney, Melbourne, Canberra, Brisbane, Perth, Newcastle, the Gold Coast and Geelong. Along with traditional bouquets, it offers gourmet gift hampers, fruit baskets and other gifts including balloons. With a motto of “fresh, fast and fair”, it aims to deliver low prices with same day delivery available for orders placed before 1pm (with a delivery fee of $19.95) and next day delivery available for orders placed before 2:30pm (with a delivery fee of $14.95). There may be a ‘Special day’ $5 surcharge on certain orders. No deliveries are available on Sundays except for Valentine’s Day and Mother’s Days. Fastflowers.com.au is an Aussie-owned and run company delivering to most of Australia as well as New Zealand. It claims to know its florists personally and speaks with them on a regular occasion. Along with fresh flower bouquets, it offers flower wreaths, an Australian palette range and a variety of hampers. Standard same day delivery is available on weekdays when orders are placed before 2pm and before 10am Saturdays. Sunday deliveries are only available for Mother’s Day and Valentine’s Day. Its delivery flat rate is $12.95 and is available for most suburbs. Certain remote locations may incur an additional $5 fee. 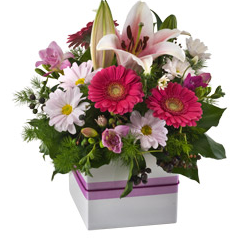 Despite the name, Rosesonly.com.au has a large range of flowers such as gerberas, lilied tulips and a mix of seasonal flowers, along with boxed long stemmed roses. Additionally it offers other ranges within the website including – Hampers Only, Fruit Only and Wine Only – for any occasion, whether it be for a baby shower or simply a thank you gift. The delivery fee starts from $12.95. Same day deliveries are available Monday – Saturday but are stated to cost more and are required to be ordered before 9am. Orders in metropolitan areas are required to be placed before 2pm on weekdays and before 10am on Saturday. Which website should you go with? Buying flowers online and having them delivered right to your front door – or someone else’s front door – is certainly convenient, but with perishable gifts, it’s inevitable that something will go wrong from time to time. If you search around the internet you will likely find the odd bad review for every one of the flower delivery services in this comparison report. However, the key is to watch for the trends and not just the one offs. That’s where our ratings are helpful because they reflect the real-world experiences of over 1,200 consumers who have recently used one of these websites. 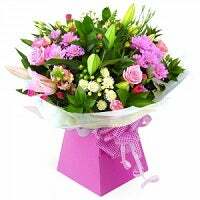 So whether you have a big anniversary coming up or are simply looking for a small gift for a special someone, be sure to think carefully about your choice of flower delivery website and keep our review in mind. Canstar Blue surveyed 9,000 Australian adults across a range of categories to measure and track customer satisfaction. Data was collected use Qualtrics’ online sample aggregation from ISO accredited panels. The outcomes reported are the results from customers within the survey group who have purchased flowers from an online flower delivery company in the last 12 months – in this case, 1,260 people.